The light, slightly peppery top note is attributed to Phellandrene(monoterpene), the dominant component. Angelica archangelica is a native of Africa and is extensively cultivated in Europe as well. 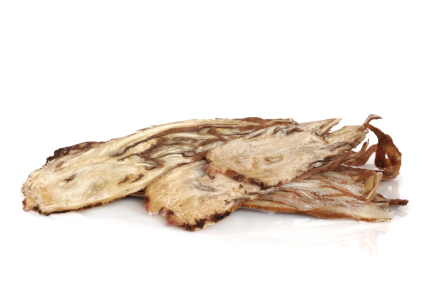 Angelica root oil is rated medium on viscosity and has a strong aroma. The color of angelica oil varies from colorless to yellow. Angelica oil blends well with certain other oils like orange oil, patchouli oil, and clary sage oil, in addition to the other essential oils listed above. Some of the common uses and health benefits of angelica root oil are as follows. 1. Angelica essential oil is a potent diuretic that helps in removal of excessive water and waste materials from the body. As such, it has purgative properties and cleanses and detoxifies your body. 2. Angelica oil is antispasmodic. It prevents and cures the spasms of respiratory and digestive systems. 3. Angelica root oil is also a potent emmenagogue. It helps regulate the menstrual cycle in women and reduces pain, cramping, and other pre-menstrual symptoms. 4. Angelica oil is a powerful expectorant. It helps clear the respiratory tract and relieve blockages in the nasal passage. Angelica oil also helps relieve various other respiratory problems including asthma and bronchitis. 5. Angelica oil is also an effective tonic for the digestive system. It promotes the secretion of digestive juices and enhances the pace of metabolism. As such, it helps regulate body weight and also prevents constipation. 6. Angelica root oil is also a potent carminative agent. It helps relieve gas formation in stomach; it is good for relieving flatulence, acidity, stomachache, and chest pain. 7. Angelica oil is also an excellent diaphoretic, that is, it promotes sweating. This causes the removal of toxins from body and helps you feel cool in extreme climatic conditions. 8. Angelica essential oil is also is also an effective febrifuge; what this means is that it can lower your temperature if you have a fever. 9. Angelica root oil is a potent nervine as it helps regulate the activity of your nervous system. It imparts stability in conditions of mental depression, stress, anger, and tension. 10. Angelica essential oil also stimulates almost all the physiological systems of your body, thereby leading to effective functioning of the body. Before using angelica root oil, keep in mind that it is photo-toxic; in other words, you must not expose yourself to sun after its application. Also, it is not recommended for usage during pregnancy. In addition, patients of diabetes should not use angelica oil. It is always best to consult an aromatherapy professional who would guide you in the right manner for using the essential oil.